This entry was posted on April 13, 2018 by B4S. DECT wireless headset with 100m range, up to 9 hours of battery life and integrated busylight. Can connect to up 2 devices.  Weighs just 18g and is certified for Skype for Business. The engage headsets are newly designed and with a sleek base station/ charging station which has ergonomically designed one touch buttons for call control. A pleasant LED displays the headsets's battery charge. The 65 comes in two versions - a monaural and binaural and with three wearing styles : the traditional headband in mono or stereo and a mono neckband wearing style. The Engage 65 series also feature a 'do not disturb' feature whereby a light on the headset signals that the wearer is on a call. 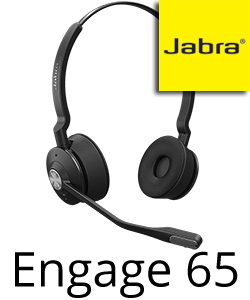 A further option is the Jabra Engage 65 Convertible which is a monaural headset with a choice of three wearing options. It can be worn in the usual headband style as well as neckband and earhook for the most unobtrusive wearing position. DECT wireless headset with 100m range, up to 13 hours of battery life and integrated busylight. Can connect to 5 devices. Weighs just 18g and is certified for Skype for Business. 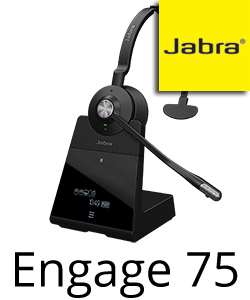 The Jabra Engage 75 series can connect to up to 5 devices at the same time - such as tablets, mobile phones, PCs and deskphones. The 75 series also sport a touch sensitive screen on their base station and is available as stereo or mono with a choice of wearing styles. Jabra Engage 75 Mono and Stereo are the first headsets in the category to meet Skype for Business Open Office requirements, a Microsoft standard for customers requiring the best headsets for voice transmission.